Discussion in 'Electric Instruments' started by windsongstudios, Jul 19, 2018. I thought my eyes were playing tricks on me. I bought this new in November 2016, it has never gigged or seen any sunlight or florescent/UV lighting of any kind. I only use it in my home studio which is pretty dimly lit. The Northern Lights stain is one of my favorite stains and I was so excited to finally have a PS in that finish. Now I'm feeling pretty bummed. Here are some pics of it when i first got it and how bad it has faded in such a short amount of time. g.wizz and Mike Duncan like this. Glide-bpm, ooglybong, Elliot and 7 others like this. Glide-bpm, ooglybong, dogrocketp and 5 others like this. Sorry, just trying to lay blame somewhere. Do you keep it out, or in the case? Oh dear that’s quite extreme indeed. I too have a PS in nightshade (grayish blue) that is now more like a Trampas Green. Perhaps Sergio is right - it’s better to avoid the bluish stains altogether. Trouble is I already have a PS in aquaviolet on order! I keep it out, it sees hardly any light other than dim studio lighting. I also have a purple 1995 CE24 and a 2007 Whale Blue McCarty and neither have reacted this way. Beautiful top there. The N/L faded so much it's hard to imagine. I'm sure this would be considered warrantee worthy if you feel this new color is unacceptable to you. First contact I guess is to get dealer feedback and go from there. Don't know what PRS's resolution might be but sure they will bend over to make you happy and satisfied. Feel for you though and hope it all works out for you. Sekunda, dogrocketp, DISTORT6 and 2 others like this. Wow, I haven’t seen such dramatic fading given those conditions. Hope you can resolve it to your content! That original color was fabulous. I have a PS in Aquamarine (Miss Pernie, posted in other threads) that I hang on the wall, never play out and not under UV light (LEDs in my media room) and it hasn’t faded one bit in about 4 years now. dogrocketp, Alnus Rubra, g.wizz and 1 other person like this. I have 3 lamps, all running phillips HUE bulbs programmed very dim. 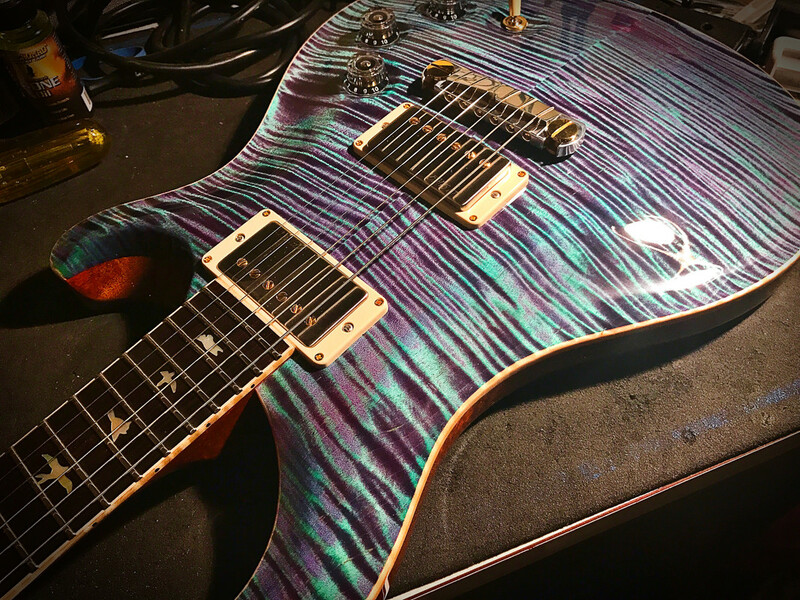 From what I have seen it's not unusual for PRS with blue stains to fade when kept out of a case, even without direct sunlight. 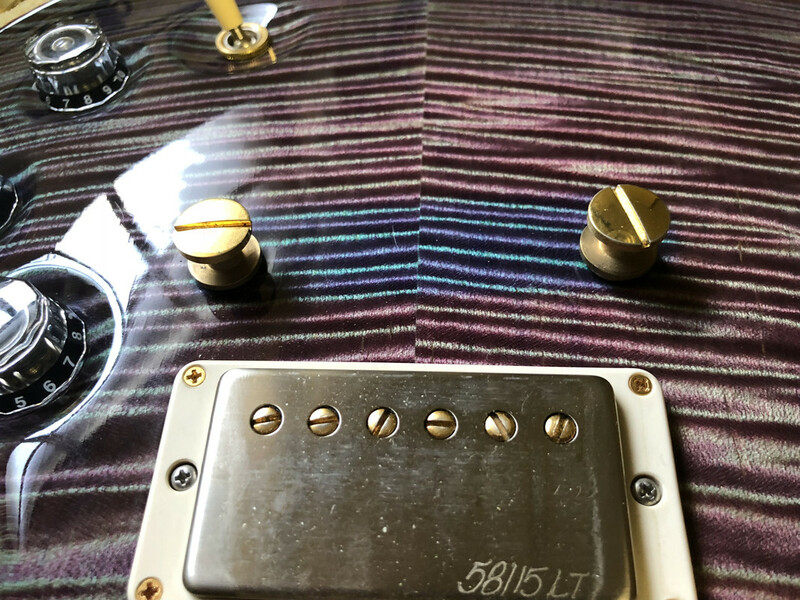 Normal "wear and tear", including but not limited to any discoloration, fading or damage to the original finish, or worn frets, strings, tuners, hardware and plating. Bummer though, but blue stain is just a b!tch of a color. That's why I always keep them in the case. 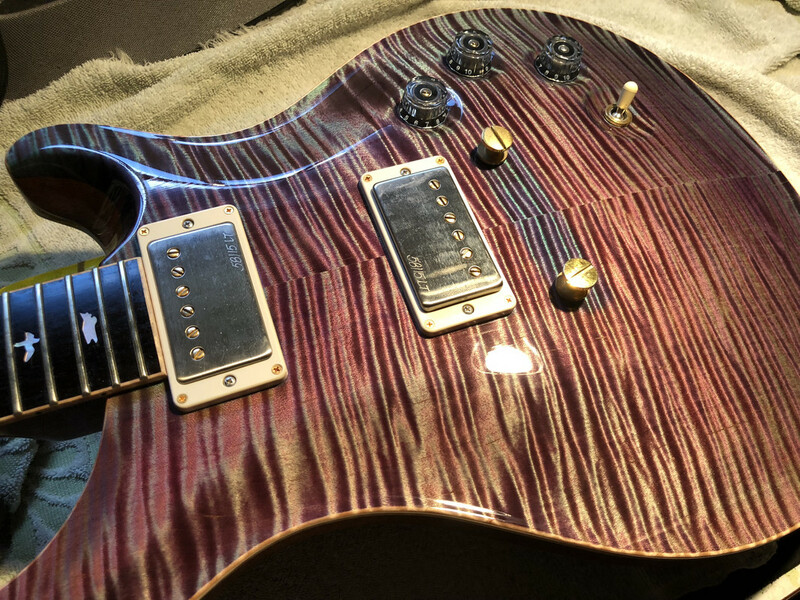 Even dim lights can fade colors, plus air is a factor also, the lacquer of PRS is applied very thin (which is what people want) but the thinner the finish the less protection of the color. 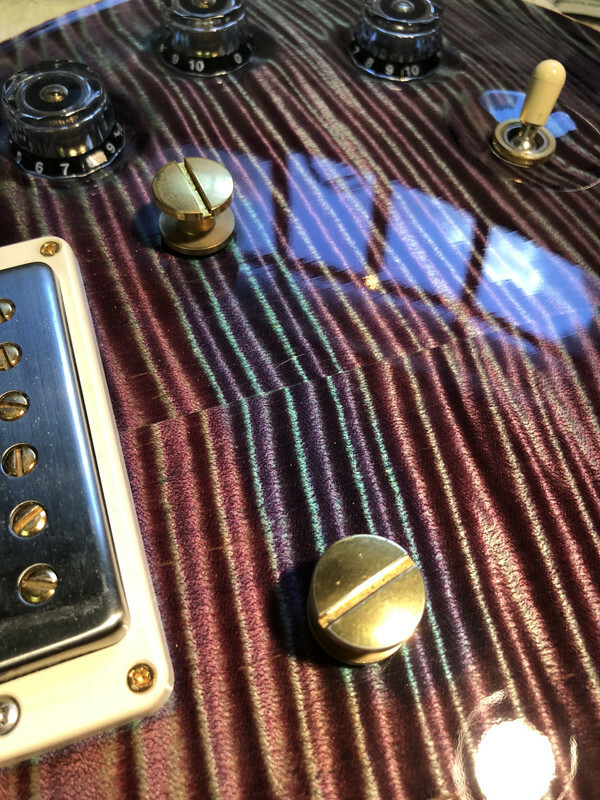 Many feel that overly heavy lacquer finishes effect the resonance of a guitar, that's why thinly applied finishes are sought after, but the trade off is less protection. Again, if you like to see your PRS out all the time I understand, but you may pay the price in fading or dings. I really wouldn't consider this "normal wear and tear", the guitar isn't even 2 years old yet. I called PRS and was told to email customer service with pictures which I have so hopefully things will work out. Having owned plenty of PRS guitars and currently have 10 of them I can't really get behind blue stains being a problem. My Whale Blue and Faded Blue Jean have retained their stain in the same environment and under the same conditions. dogrocketp, rmg471 and matt3310 like this. Out of the 10 I own 8 are V12 and 2 are Nitro, never had an issue. I have two blue PRS guitars and one of them is literally always out of the case (C24). It is “Faded Blueburst.” It hasn’t faded even a little bit, and I hope it doesn’t. The other is my 25th Ann. C22 Semi Hollow LTD. It is so dark I almost wish it would fade a little bit. It’s beautiful but I can’t get a decent pic that shows how pretty it is because it looks so dark in all the pics. Its out a few days a month and it also hasn’t faded at all. That said, Northern Lights is a dream color for me. If I shelled out PS money and that happened I’d be devastated. AlienSexGod, dogrocketp, Dirty_Boogie and 1 other person like this.